The luxurious Bitty Bag and Velvet Bitty Bag is a beautifully soft and attractive shoulder pet carrier, ideal for small animals. The shoulder straps are adjustable and include a padded handle. It includes a safety leash to prevent your pet from accidentally falling out. 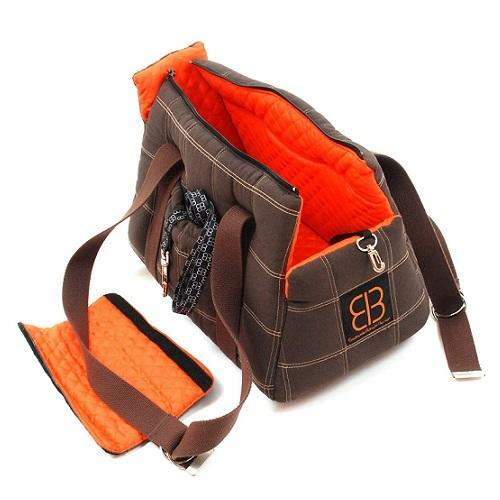 This bag serves as a great addition for bringing your small companion with you everywhere you go. The Velvet Bitty Bag , a combination of velvet tones, is elegant and stylish, and extremely comfortable for your pet. Color combinations include espresso with a stone interior, stone with a sage interior, and sage with a stone interior. Any choice is sure to complement any palette. Can hold pets up to 15lbs.